Little Women is a cinematic musical with a time-honored structure. 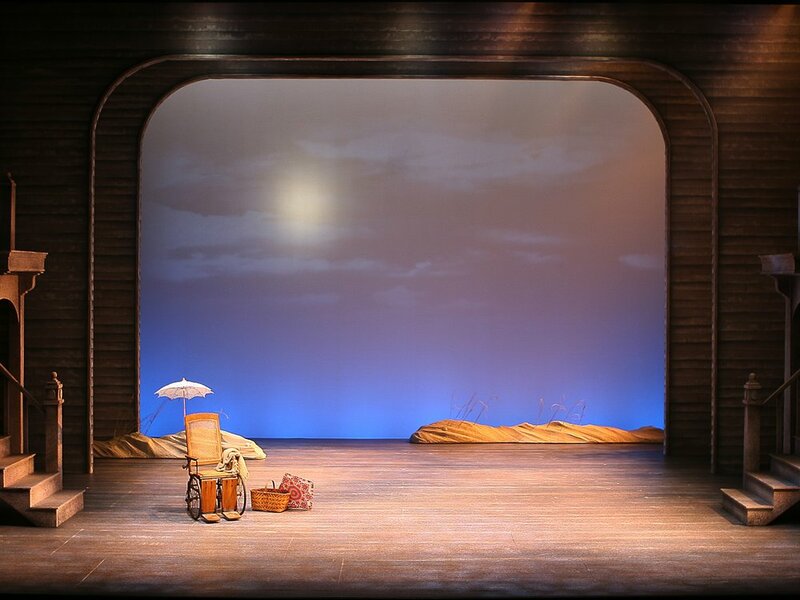 The director, a Broadway veteran, made his staging needs known at the onset of the design process. My initial challenge became organizing what had to move, how did it move, and where did it store when it wasn’t moving. 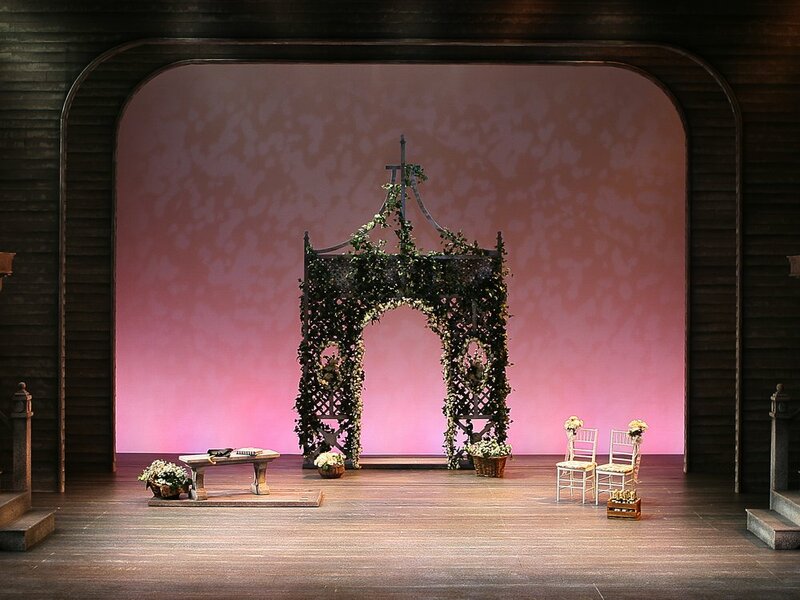 Further integral to the puzzle was planning for the shift machinery, furniture and props storage, off stage pathways for actors with wide hoop skirts, 2 costume and wig changing booths, and positions for permanent side lighting. This was a tall order for a stage with shallow wings and no permanent crossover. I introduced portals to increase the depth of the side wings so I would have space to store the low profile scenic pallets that shifted via concealed tracks in the stage deck.